Looking for a product? Want to know more about MagnaClean? 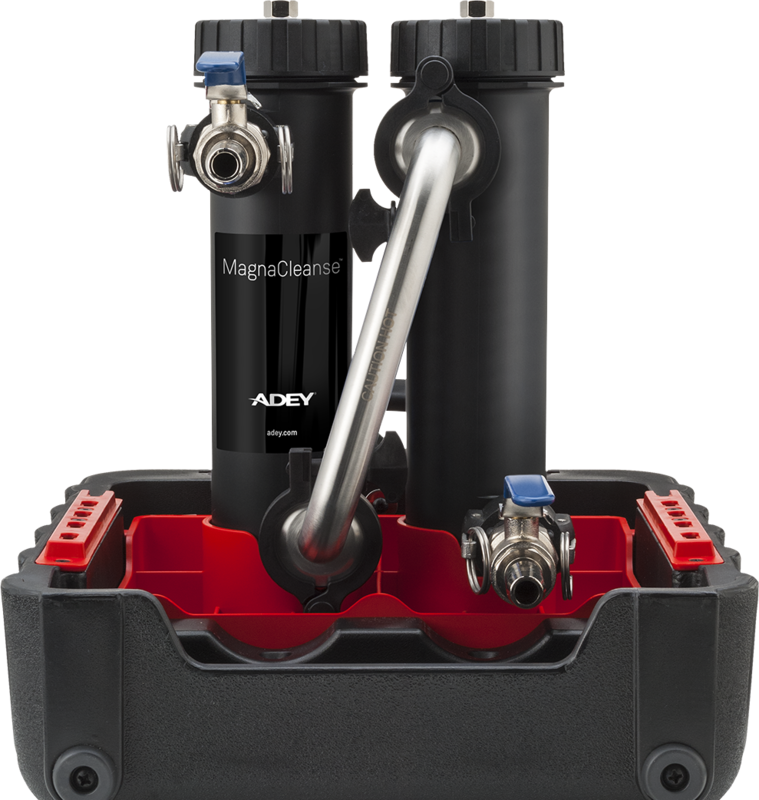 Looking for the latest ADEY news? Whatever you need, simply search here. Protection is one thing. But to be totally free from magnetite and other scale, a clean system is essential. MagnaCleanse™ combines water treatment and filtration to do just that. Combining our RapidFlush filter and VibraClean agitator, MagnaCleanse system flushing removes system debris. The precision agitator removes more sludge in 20 seconds than can be extracted in 30 minutes without it. It even shifts hardened debris, reducing the need to remove radiators to completely clean the system. When there’s microscopic sludge on the scene, you need a dirt filter that can capture every single particle, not just the biggest. Copyright ADEY Innovation LLC © 2017. All rights reserved.